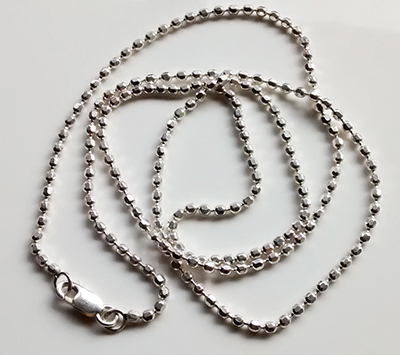 Medium weight chain with a bit more sparkle than your average ball chain. Suitable for wearing on its own or with medium / light pendants. Assay Office Hallmarked.